Land in Abu Dhabi or Dubai transfer to hotel in Abu Dhabi. The world’s largest hand-loomed carpet, the fastest rollercoaster, the highest high tea, the tower with the greatest lean, the largest cluster of cultural buildings of the 21st century – UAE capital Abu Dhabi isn’t afraid to challenge world records. Welcome to an exciting city where nothing stands still…except perhaps the herons in its mangroves. The rest of the day is free to spend as you wish. Perhaps head out for some retail therapy, enjoy the roof-top pool or jump on the complimentary bus service to the beach. Overnight in Abu Dhabi. At 9am, take part in a guided tour of Abu Dhabi. Be mesmerised by the grandness of the new additions to Abu Dhabi’s skyline. 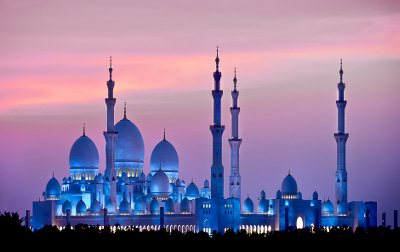 Marvel at the jewel of the city, the majestic Grand Mosque, the third largest in the world, able to accommodate more than 30,000 worshippers. 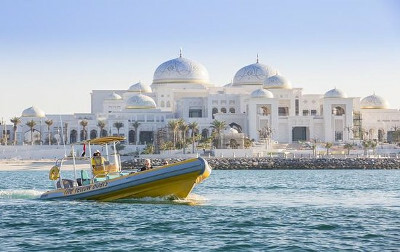 The tour will continue to the Abu Dhabi Cultural Foundation, followed by a drive along the spectacular Corniche, with its gleaming white mosques and elegant high-rise apartments. You will stop at the Heritage Village, which houses a small museum that depicts the traditional activities of the Arab community before the discovery of oil. We drive past the presidential palace areas for lunch in the majestic Emirates Palace Hotel: what the Burj Khalifa in Dubai is to the vertical, the Emirates Palace is to the horizontal, with audacious domed gatehouses and flying ramps to the foyer, 114 domes and a 1.3km private beach. In the afternoon, visit Yas Marina Circuit the venue for the Abu Dhabi Grand Prix and the nearby Ferrari World Abu Dhabi (optional cost). Tonight, attend the 8pm opening match of the 2019 Asian Cup between hosts UAE and Bahrain at the 43,600-seater Zayed Sports City Stadium in Abu Dhabi. Return to your hotel after the game. Overnight in Abu Dhabi. Day 3: Sunday 6 January 2019 – Al Ain MATCH DAY! Depart Abu Dhabi at 8am for the 2-hour journey to Al Ain. continue onto Al Ain. Al Ain a charming desert oasis that has been a stop on the caravan trail since time immemorial. Check into the hotel and at 11.30am, and have some drinks at the Green and Gold Army pre-match event. This event includes food, drinks (beer, wine, soft-drink) & entertainment. At 1.45pm transfer the 15 minutes to the Hazza bin Zayed Stadium, Al Ain to watch the Australia vs Jordan 3pm game. Transfer back to the hotel after the game. Overnight in Al Ain. Filled with more than 147,000 date palms, the World Heritage-listed Al Ain Oasis was once a vital stop on the caravan route crisscrossing the Arabian Peninsula. Today you will stroll the shaded walkways, see how the ancient falaj (irrigation) network carries water to the palms and visit the hi-tech eco-centre. Stop by Al Ain Palace Museum, where Sheikh Zayed once held court, and the photogenic Al Jahili Fort, built in 1891 to defend the city’s precious plantations. 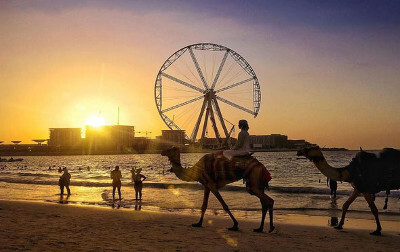 We then visit the ancient Camel Market (or the Fruits and vegetable market and return to your mud brick heritage hotel where you can relax by the pool and watch some more Asian Cup games on the hotel TV. Overnight in Al Ain. This morning, we stop at the deserted oasis village of Al-Bithnah to explore the 18th century old fort before reach the market town of Masafi. It’s here where we’ll visit the famous Friday Market. The market is open and is just as busy on each day of the week despite being called Friday market. Continue on via Wadi Asimah, Khatt Springs, Al Ghayal and cross the border into Oman (immigration is straightforward) and arrive in Khasab. Overnight in Khasab. 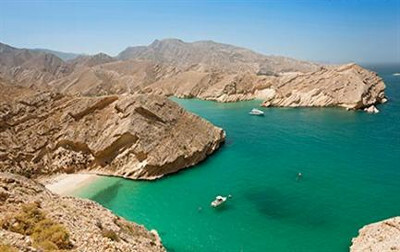 After breakfast, enjoy a full day cruise along Oman’s spectacular Musandam Peninsula. Board a ‘dhow’ (traditional Arabian boat) and then, sail by craggy mountains, fjord-like bays and empty beaches; watch for dolphins; and swim and snorkel in the translucent seas. Enjoy unlimited drinks and a delicious buffet lunch on board before returning to Khasab. 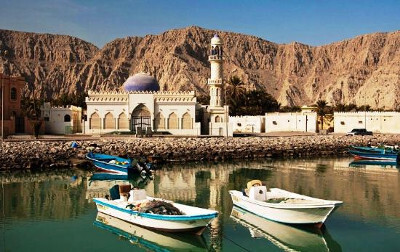 Separated from the rest of Oman by the east coast of the UAE and guarding the southern side of the strategically important Strait of Hormuz, the Musandam Peninsula is dubbed the ‘Norway of Arabia’ for its beautiful khors (rocky inlets), small villages and dramatic, mountain-hugging roads. Accessible but still isolated in character, this beautiful peninsula with its cultural eccentricities is well worth the trip north. Overnight in Khasab. In the morning tour the Khasab Fort and the prehistoric rock paintings of Wad Tawi. Cross back into the UAE and pass through the town of Ras Al Khaimah, Umm Al Quwain, Ajman and arrive in Dubai. A city like no other, Dubai is the story of the little fishing village that could, and of a city that has made it big – at least as far as opulence and grandeur is concerned. The rest of the day is free to spend as you wish. Overnight in Dubai. Day 8: Friday 11 January 2019 – Dubai MATCH DAY! 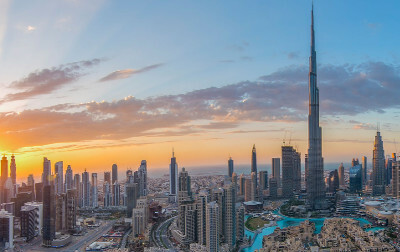 Explore Dubai with a half day tour of the city. Drive through the heritage area of Bastakiya, full of courtyards, wind towers, and narrow alleyways designed to give pedestrians shade from the sun. Next, visit the ornate Al Fahidi Fort and its museum, built in the early 1800s to protect the settlement from rival Bedouin tribes, and later the residence of the ruling sheikh. At 11.30am, have some drinks at the Green and Gold Army pre-match party. This event includes food, drinks (beer, wine, soft-drink) & entertainment. 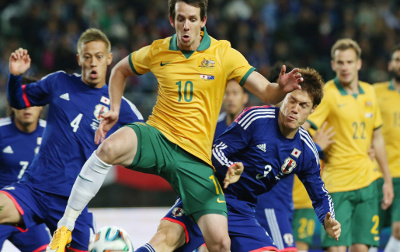 At 1.45pm transfer the 30 minutes to the stadium to watch the Australia vs Palestine 3pm game. Transfer back to the hotel after the game. Overnight in Dubai. After breakfast, take a ferry across the Dubai Creek in a traditional Abra (water taxi). Before roads and cars, Abra’s were the only way to cross the Dubai Creek. This is the most atmospheric way to soak in the sights and sounds of the bustling creek. Later, make a stop at the imposing Jumeirah Mosque for excellent photos. Then we proceed to World Tallest Tower, the 830-metre high Burj Khalifa, entry is via Dubai Mall one of the largest malls in the region. Our tour guide will take you around the mall till we reach our time slot to get to Burj Khalifa observatory deck (this is 40 USD per person and is an optional cost for each group member) at the top of the 124th floor. From your vantage point on level 124 of the world’s tallest building, you will experience first-hand this modern architectural and engineering marvel and know at last what it is like to see the world from such a lofty height. Return to Dubai at 2pm. Overnight in Dubai. Free morning to relax in your hotel. 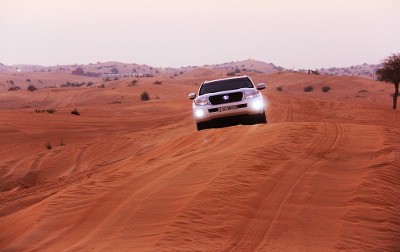 At 11am, join safari guides in a 4WD for an adventure into the golden sand dunes of Arabia. Experience the thrill of a lifetime while riding through the undulating dunes, then see a beautiful scenic sunset over the desert. 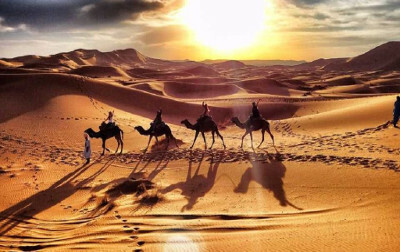 Your journey will continue until you reach your traditional Bedouin camp, where you will have the opportunity to try a host of activities like henna painting, camel riding through the dunes, belly dancing, Shisha, the Arabic sweets and coffee significant to the Bedouin culture. After sunset, a BBQ dinner will be served under the starlit sky with live entertainment to ensure you have a night to remember. You will also be treated to traditional Arabic hospitality, with Arabic coffee and dates served as they have been for centuries and continue to be served in Emirati homes today. 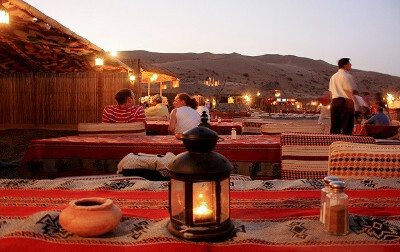 The deluxe safari is performed in a resort camp where you will be able to enjoy higher standard facilities.Overnight at your Desert Safari Bedouin Tent. After waking up in the unique surrounds of the Bedouin camp this morning, enjoy a delicious Bedouin breakfast, enjoy a short walk through the desert seeing more impressive scenery along the way. 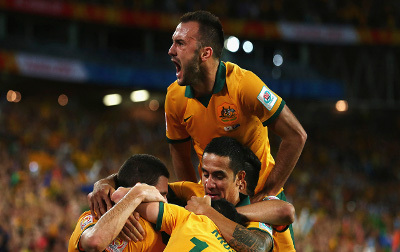 In the early afternoon we travel to Al Ain for the Socceroos final group stage fixture. Overnight in Al Ain. Day 12: Tuesday 15 January 2019 – Al Ain – MATCH DAY! Free morning to relax by the pool of your hotel. At 1.30pm, have some drinks at the Green and Gold Army pre-game function. This event includes food, drinks (beer, wine, soft-drink) & entertainment. At 4pm transfer the 30 minutes to the Sheikh Khalifa International Stadium, Al Ain to watch the Australia vs Syria 5.30pm game. Transfer back to the hotel after the game. Overnight in Al Ain. Travel the 90 minutes back to Dubai in the mid-morning. Free afternoon to explore more of Dubai. At 6pm transfer the 20 minutes to the Al-Maktoum Stadium, Dubai to watch the Iran vs Iraq 8pm game. The Iran and Iraq national football teams are major sporting rivals in Asia. Emotions are always high when these two teams face off against each other. The most recent matches between the two teams were the QF of the 2015 Asian Cup where Iraq knocked Iran out on penalties and a friendly match in March 2017 hosted in Iran, where Iraq won the game by one goal to end Iran’s two-year unbeaten streak. Transfer back to the hotel after the game. Overnight in Dubai. Check out of your hotel transfer to the Dubai or Abu Dhabi airports for your onward flights, or transfer to Abu Dhabi for Final Stages Tour.